WHAT WE LOVE: Formerly the Hotel Deca, the remodeled Graduate features special touches celebrating University of Washington graduates and students—both real (such as Bruce Lee, and Beverly Cleary) and fictional (such as Singles’ UW student Cliff Poncier, played by Matt Dillon)—who are depicted in guest room portraits and on student-ID-like room keys. University District, 4507 Brooklyn Ave. NE; 206.634.2000; 154 rooms, from $99. 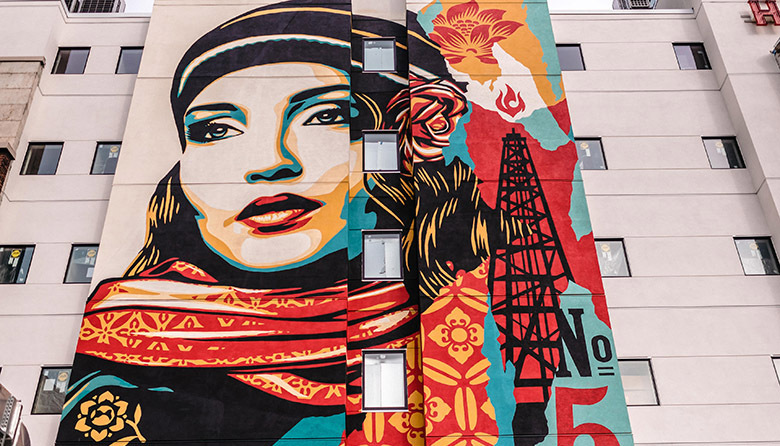 WHAT WE LOVE: The new five-story mural titled “Fire Sale” on the hotel’s western side, a commissioned piece by artist Shepard Fairey (famous for the “Hope” poster used in the 2008 Obama presidential campaign). The bright colors and natural elements represent the fight and struggle for the environment. Scheduled to open this month. Downtown, 1501 Second Ave.; 206.239.1800; 91 rooms, from $189. WHAT WE LOVE: Rooms with bunk beds. The self-billed “unapologetically eclectic” hotel feels as comfortable as if you were staying at your cousin’s house—complete with the familiar fight over who gets the top bunk. Downtown, 107 Pine St.; 206.596.0600; 96 rooms, from $132. Downtown, 808 Howell St.; 206.973.1234; 1,260 rooms, from $159.